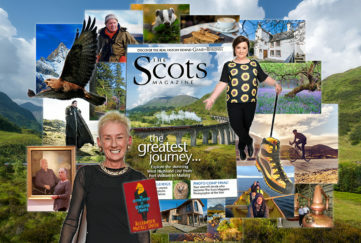 There was a smaller than usual turn-out at the latest Scots Mag Take A Hike outing. Was it because of the summer holidays? Was it because it was a low-level walk, and not the gradients normally expected? 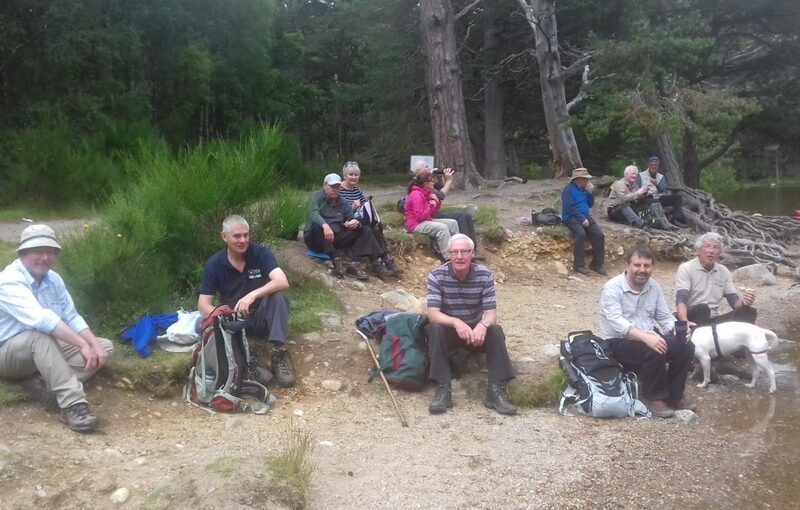 Whatever the reason, the 10-mile trek round and about Loch an Eilein, Rothiemurchus, was an enjoyable one for all 24 hikers who attended – despite a midge-plagued stop for lunch! 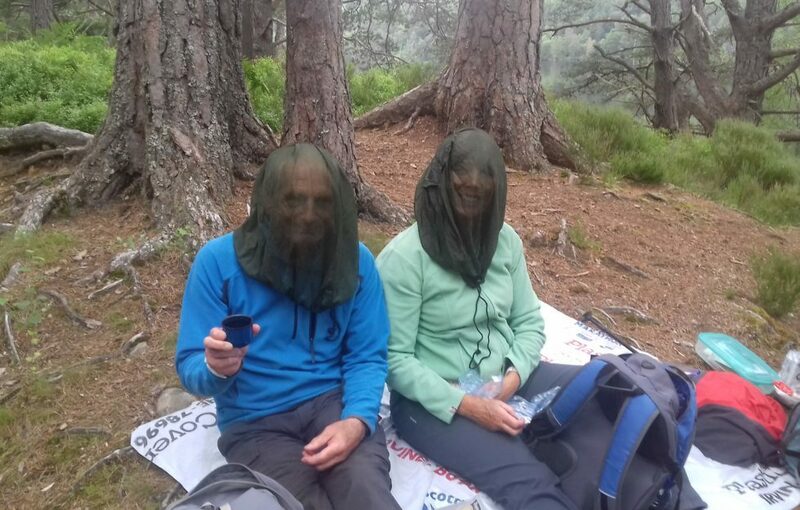 Alan and Marlene Hay had the right idea, though, adorned in midge nets. It did made it awkward to eat their butties though! The circular path around the loch is a popular one for hikers and bikers alike, so the call of “Bike! Bike!” from those at the front or the rear of our group was a common one. Quite often we’d meet the same cyclists on their way back, so to speak, and we would chew a wee bit of fat before going our separate ways. 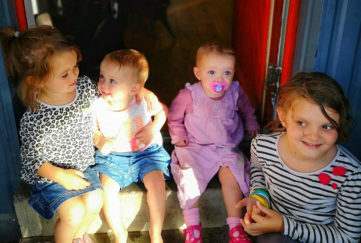 Lots of kids, too – which was great to see. What better place to enjoy the summer holidays than the lochside – voted Best British Picnic Spot a few years ago by Warburtons no less! There were some paddle-boarders on the loch, and while it looked good fun I think I’d prefer something solid to stand on – namely, the ground! 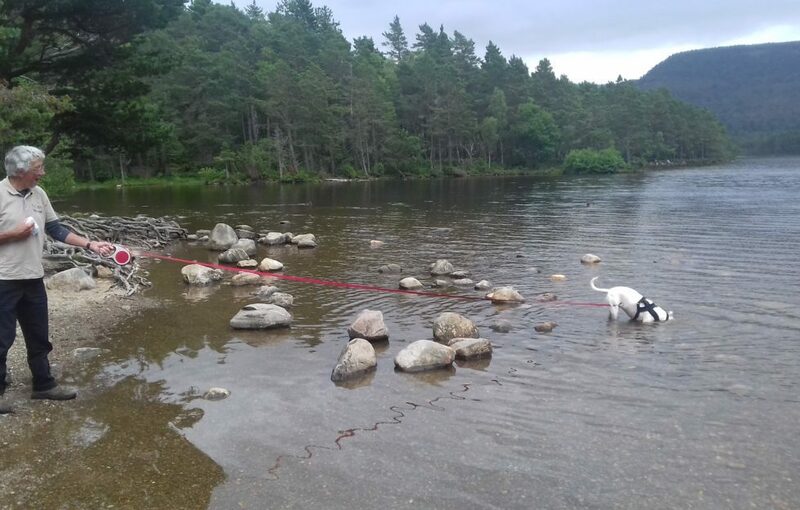 Paris the dog, however, likes water so much she spent a few underwater moments trying to claim one of the loch’s stones – just about pulling owner Peter in with her! We were joined briefly by a friend of mine, Mike Mulreaney, his wife and granddaughter making Maisie, aged 6, the youngest yet to join the Take A Hike Hall of Fame. The weather was bright with the odd touch of sun – and goodness, we deserved a nice day what with the March and May hikes being so damp. It was nice to keep the waterproofs in the rucksack for a change! The sun came out just in time for a post-hike drink in Aviemore’s Cairngorm Hotel, too. 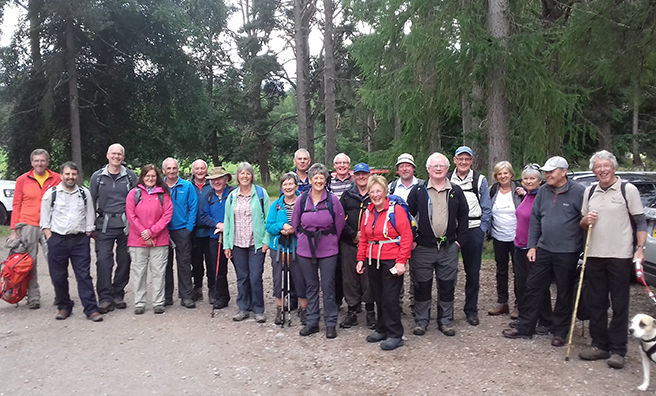 Another successful hike – the 15th since the club started. No low-level stuff next time, though – Ben Vrackie, by Pitlochry, is the target for September’s outing! 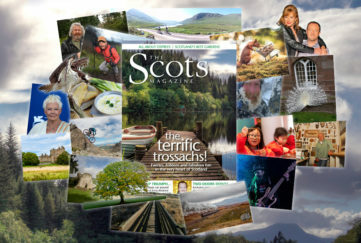 To join us email gfraser@dcthomson.co.uk for details. 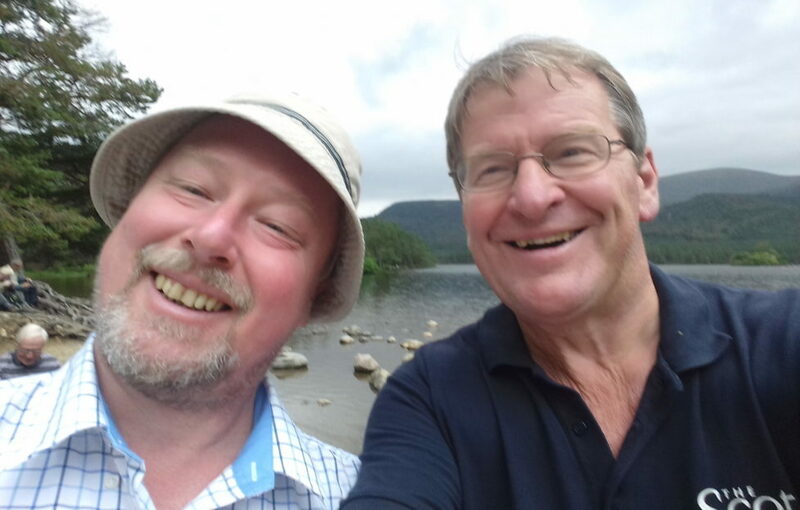 Paris just about dragged Peter into the loch!